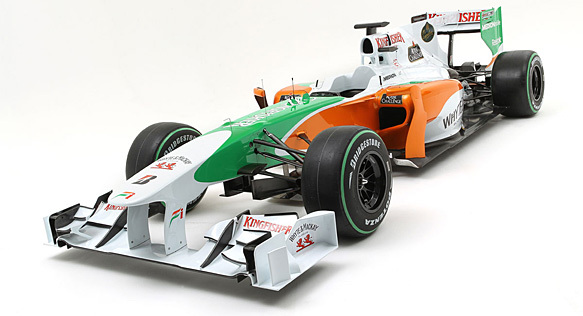 Force India has unveiled the VJM03, the successor to the car that caused the biggest upset of 2009 when Giancarlo Fisichella took pole and finished second at Spa. The new car will get its first proper mileage at Jerez on Wednesday, when the Red Bull and Virgin will also join the teams seen in Valencia last week. Fisichella has slipped into a testing role at Ferrari, and Adrian Sutil and Tonio Liuzzi are the guys who are hoping that the team can keep up its momentum. 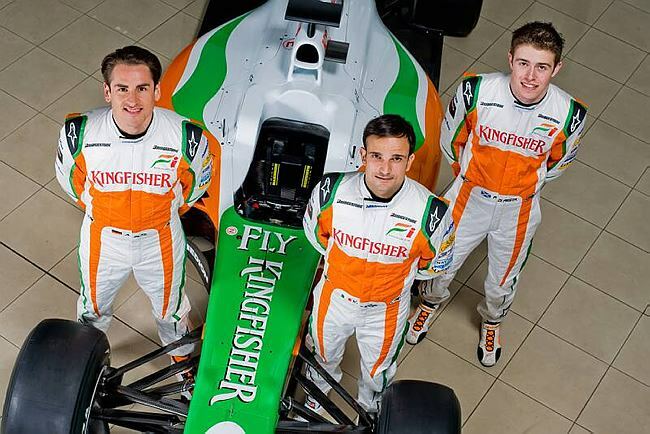 Both will be kept on their toes by new test driver, Paul di Resta, who will do some Friday driving. This year the team has enjoyed the benefits of continuity with both Mercedes and gearbox supplier McLaren, after last year’s late decision to switch caused a few compromises as the some elements of the car had to be redesigned. In other words the team has been able to focus on building on last year’s performance and dealing with the increased fuel tank size. “Some of it looks quite different, and some of it will look quite familiar,” says technical director James Key explains. “It’s a natural progression in areas which seemed to have strong trends at the end of 2009, and in other areas it’s really quite different. Obviously everyone has had a year of experience with these aero rules now, and the double diffusers. So we’ve all gone into 2010 much wiser to what we might want to do in the future, and what sort of things we’ve got to make sure the car can cope with. Last year Force India was one of the first teams to switch to a double diffuser, helped by the fact that the gearbox happened to lend itself to the change. This year’s car has of course been designed with a double diffuser in mind, and McLaren has further honed the gearbox to extract the maximum potential.